Precise description is an essential part of science, because it allows you to compare, contrast and classify. What the Swedish biologist Linnaeus had done for the relatively stable world of animals and plants, Howard did for the ever-shifting world of aerial vapour. 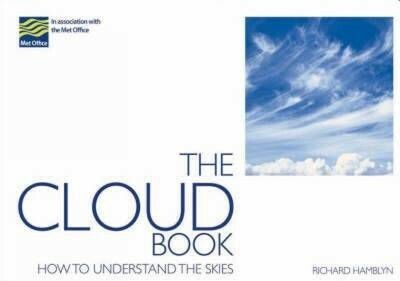 Indeed, clouds are divided like living creatures into genera, species and varieties, all falling under three broad categories: low clouds, medium clouds and high clouds. So the size and complexity of the names can echo the size and complexity of the clouds themselves, like “Cirrus spissatus cumulonimbogenitus”, whose specification is “Dense cirrus, often in the form of an anvil, being the remains of the upper parts of a cumulonimbus cloud” (pg. 90). It has a code, CH3, a symbol (see table for examples) and an abbreviation, Ci spi cbgen. So this book is an introduction to serious meteorology, but it’s full of beauty too. Howard’s science inspired and informed the art of painters like Constable and poets like Goethe and Shelley. All three men would have marvelled at the photographs here, which capture clouds from all around the world: CL5, Stratocumulus stratiformis is “dark, rolling layers of cloud” over “Oslofjord, Norway” (pg. 36); CM9 is “a chaotic sky over Bracknell in Berkshire” (pg. 80); and the CH3 mentioned above is “seen from Grande Anse Beach, Grenada” (pg. 90). But most of the named photos were taken somewhere in Britain: fluffy white cumulus humilis over the “Vale of Evesham, Worcestershire” (pg. 22); mottled and marching altocumulus stratiformis over “Ebbw Vale, Gwent” (pg. 68); white and wave-like altocumulus stratiformis duplicatus over “Mallaig, Scottish Highlands” (pg. 74); a “rare” cirrocumulus lenticularis against blue sky over “Painswick, Gloucestershire” (pg. 106). Most of the unnamed photos are presumably British too. So mathematics is obvious there, but it’s present everywhere in meteorology: clouds seem chaotic, but relatively simple rules underlie their formation and evolution. It’s just that there are a lot of continuous variables: temperature, humidity and so on. So complexity arises from simplicity. This book classifies and catalogues the chaos of complexity, explaining the why and where of one of the best and most beautiful things in life.